There are lots of fun things to do in summer, when the weather is warm enough for outdoor games and activities. 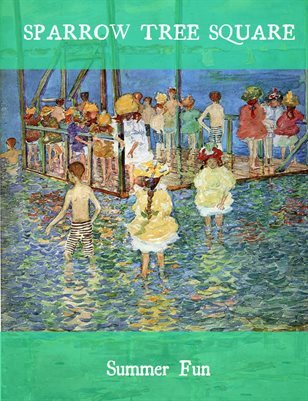 The literary selections in this mini-anthology celebrate old-fashioned summer pastimes, including sports, bicycling, playing, boating, and picnicking. The articles provide background information on the history of these activities, and the activities offer suggestions for fun things to do in summertime.